Many people are keen to do their bit for others in the community. If you firmly believe that good health starts with a good heart, then you might be the perfect candidate for a caring career. There are plenty of choices. Some are easy to get started with. Others might require more study. All can be enormously rewarding. Best of all, you can promote good health to benefit all of your clients or patients. What are you waiting for? What Makes You Right For A Caring Career? If you have a passion for healthy living, chances are you can pass some of that enthusiasm onto others. People that care about others are willing to invest the time and energy required to help make a positive difference to the lives of others. A good carer has compassion and intelligence that is ideally suited to problem-solving. Chances are you already provide a lot of support, friendship or care to others already. If you know someone with dementia, you might already be problem-solving to help them live with their condition. You might have experience with the simple things like how to introduce yourself again. Can you manage the far more complex health needs like diet, exercise or personal care? Perhaps you’ve helped someone through cancer? Or maybe you helped someone else personally affected by cancer? An ear or a hand can go a long way in either case. If you’re good with kids, then you might be ideally suited to any one of a number of great careers working with children. Psychological support and trauma counseling are, unfortunately, much needed in our country. Perhaps you have great ideas for constructive or education play? Child care and early years education are so important. After all, these little ones are the great leaders of tomorrow! It takes someone that can inspire while providing a safe and supportive environment that will help them take those first steps. There are many different types of people that need your care. That doesn’t mean that you are restricted to vulnerable groups. Everyone needs a little help once or twice in their lives. In fact, you might find a career in any number of jobs from conception to senior living. Fertility support, pregnancy coaching, midwifery, school counselor, marriage counselor, and assisted living manager are just some of the everyday jobs that make a big difference in people’s lives. When you choose your career, you might have an age group in mind. Perhaps you are involved with the care for sufferers of a particular health condition. Or maybe you’re keen to get people back on their feet with support like physiotherapy? Most of us are touched by issues that cause pain and suffering. Are you ready to face those head on and help people in need? Perhaps one of the most vulnerable groups of people in our community is seniors. The aging process can be quite unkind to the body and the mind. As the population lives longer, there are more years spent living with unpleasant illnesses and conditions. While this group is in desperate need of carers like you, perhaps your interests lie in preventative care earlier in life? It is thought healthy habits can prevent many debilitating health problems later in life. There are many roles to choose from. You might want to start up your own business offering healthy eating advice. Diet is enormously important for good health, and everyone can benefit from healthy eating choices. If this is your area of expertise, then why not combine it with some exercise tips? If you’re quite creative and good at solving problems, you might be able to tailor activities and exercise for a wide range of clients. Nurses and doctors are always in high demand. These careers do require extensive training and expensive medical degrees. However, the career path is rewarding, and you can choose to specialize in any area of interest. Dentistry is another area that can help people enjoy better health. Good oral health and good teeth can also boost confidence for patients. Perhaps you are more interested in the eyes, the ears, or even the nose? Psychology and counseling are also very rewarding careers. You can help people from all backgrounds find a resolution to their concerns and develop peace with their problems. This career path might start with a Psychology degree. Of course, if this is your training background, you might be perfectly placed for a wide variety of careers. Have a look at the article titled What Can I Do With a Psychology Degree? You’ll see there are paths to social work, therapy, and even education. If you’re ready to start forging your caring career, start by asking yourself if you’re ready and able to continue your studies. You don’t need to have a specialist degree to become a valued carer. Of course, if you are willing to take on some online studies in Psychology or physical therapies, then you might be able to fast track your way into even more interesting careers. It’s also a good idea to gain as much experience in your areas of interest. Volunteers are always welcome. 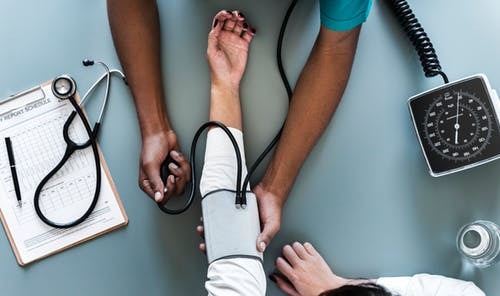 As you are likely to be working with vulnerable patients, you might need to go through some special checks to confirm your identity and history. The agency or business you work for will usually arrange these things. There will be strict procedures to follow with your work, so be sure to make a point of finding out what is required. Medical school can take many years and a lot of money. If you know that you want to push forward with becoming a doctor or surgeon, be prepared to work long hours. The on-the-job experience is incredibly important so try to gain as much as you can. Nursing and midwifery also require specialist degrees and additional training afterward. You might choose to work in a hospital, clinic, or private practice. Different environments suit different people. Consider what type of working environment suits you best. If you want to become a dietician, nutritionist, or fitness coach, each of these paths can be developed from short courses. This makes them more accessible for some people. Paid employment in these areas isn’t quite so easy to find, though. This is why many qualified carers in these areas set up their own businesses and find private clients to work with. You might want to add some business management or marketing qualifications to your arsenal. If you want to become a health guru or promote healthy living, there are many paths that might suit you. Some offer you the chance to work in care. Others are more medical in nature. Your next step might involve considering the healthiest choice for you. Think about the type of working environment you might be comfortable in. And which ones would not suit you at all? Perhaps you want to work with a specific group of people like vulnerable adults or disabled children? This will lead you to consider the type of activities you want to be involved with. Forging a career that’s right for you takes time and much consideration. If it’s important that you promote good health to the people you work with, then you’re halfway there. Carers often work unsociable hours, especially in the medical profession. Other career paths ask that you work in emotionally difficult situations. Where will your healthy career take you?